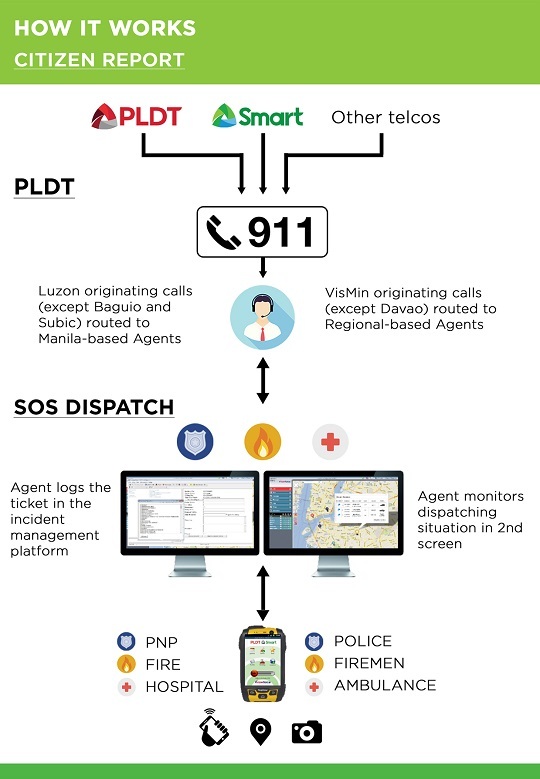 To reinforce world-class public safety and emergency response in the country, PLDT Inc. has launched a revolutionary mechanism called Smart SOS Dispatch, which will ensure effective end-to-end incident management. The Smart SOS Dispatch is designed to enable small and large communities such as large corporations, local government units (LGUs), and university campuses to strengthen their public safety answer points (PSAPs) and public emergency response systems (PSERs). For a rapid, long-distance, and high-speed communication between the command center and first responders, it combines Smart's powerful network coverage with the Genaker IP-based PTT (Push To Talk) and NowForce emergency response application. It uses rugged, shock and water-resistant (IP68) Android devices that are designed especially for emergency situations. The Smart SOS Dispatch also allows the whole emergency reporting, response, and recording process to become quicker and more reliable. Its NowForce cloud system gathers all necessary information reported, and then it's recorded and processed through the NowForce CRM and sent to all concerned responding units in near-real time. The PTT App helps field teams to coordinate via 1-to-1 or 1-to-many. “The 911 emergency response system of the United States has always been a model to emulate with regards to security and public safety. The technology to make the same happen in the Philippines is available through mobility and the Internet-of-Things (IoT). Smart SOS Dispatch is designed to do just that,” says Jovy Hernandez, FVP and Head of Enterprise groups at PLDT and Smart. Specifically designed around the Philippine 911 system, some LGUs have already partnered with PLDT and Smart for the purchase and full implementation of the Smart SOS Dispatch, including the city of Bacoor in Cavite and the province of Ilocos Norte. 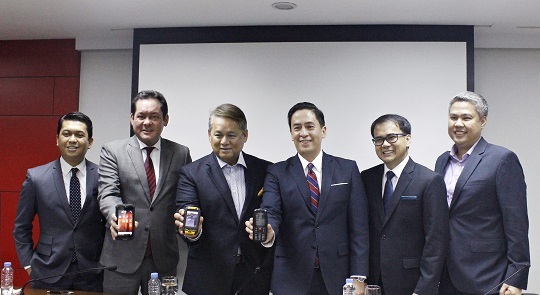 The Smart SOS Dispatch, which comes with a rugged Android Device, Genaker PTT and NowForce applications, Unlimited Calling Circle and allocated SMS to all networks for 30 months, is now available as an exclusive package for LGUs for Php3,500 per month for each device. For more info, visit www.pldtalpha.com or http://smenation.com.ph.